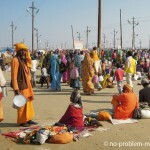 The name Kumbha Mela means “festival of the jar”. 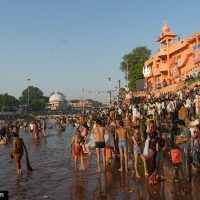 It is probably the world’s biggest pilgrimage; gathering up to 100 million people in one place, to bathe in the sacred waters of four holy cities.The belief is that it opens the door to moksha (liberation) and spiritual awakening. 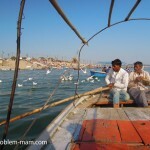 A surprising and spectacular event that leaves no visitor unmoved, whether they are believers or not. 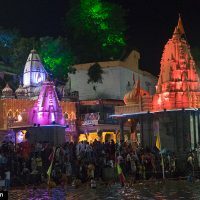 The Kumbh Mela takes place four times in twelve years, rotating between the four holy cities of Allahabad in Uttar Pradesh, Haridwar in Uttarankand, Ujjain in Madhya Pradesh and Nasik in Maharashtra. 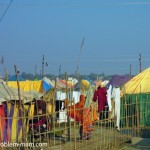 To simplify, the Kumbh Mela is held approximately every three years alternatively between those four holy cities. 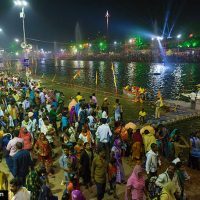 But as the precise dates of each Kumbh Mela are determined by astrological methods and position of the planets, it may happen that some of the four cities, like Nashik and Ujjain, hold the Kumbh Mela together the same year. 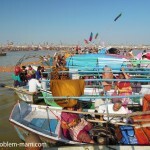 Also, every six years Haridwar and Allahabad host an Ardha Kumbh Mela (half Kumbha Mela) and Allahabad also hosts the Magh Mela every year in January. 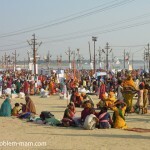 The culmination of it all is the Maha (“great”) Kumbha Mela which takes place in Allahabad every 144 years, after 12 Purna Kumbha Melas. 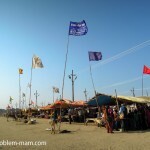 The last Maha Kumbha Mela was held in 2013 and is reckoned to have been attended by more than 100 million people. 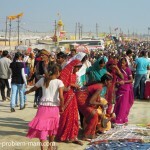 The pilgrimage finds it origin in the Hindu myth of the Churning of the Ocean of Milk. 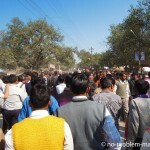 Long ago, devas and asuras – gods and demons – were mortal beings. 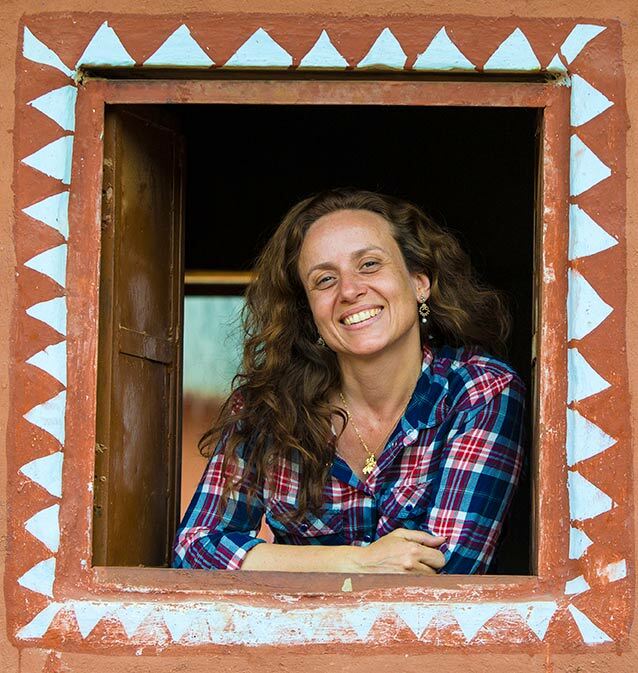 They formed a provisional alliance to work together to make amrita, the nectar of immortality, by churning the Ksheera Sagara, the primordial ocean of milk. 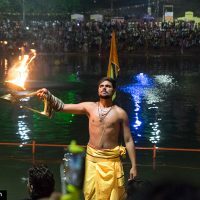 After a thousand years of churning the ocean produced some supernatural substances and beings including Dhanvantari, the physician of the devas, often considered to be a minor avatar of Vishnu and the future king of Kashi. 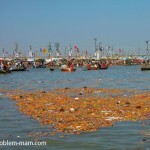 In his hands he held a jar (kumbh) of the nectar of immortality. 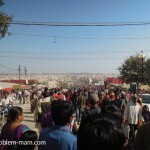 As soon as the kumbh appeared the demons grabbed it and ran off, pursued by the devas. 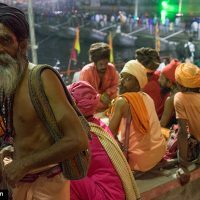 For twelve divine days and nights – equivalent to twelve human years – the gods and demons fought all over the heavens for possession of the jar of amrita, elixir of immortality. 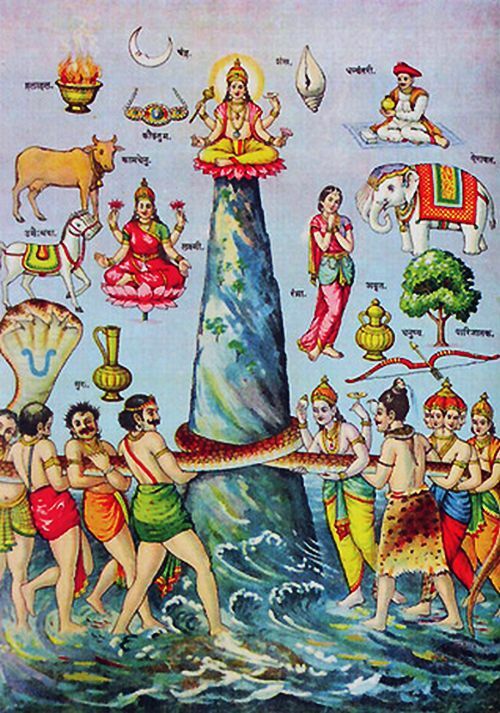 To put an end to the war, Vishnu took the form of the enchantress Mohini, the only female avatar of Vishnu. While the asuras were captivated by the sight of her she seized the jar and gave it to the devas. Now that they were immortal the devas could not be vanquished; they threw the asuras into hell. 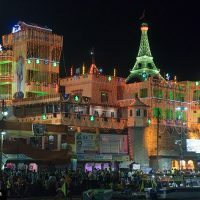 However, during the last battle, drops of amrita had fallen on Allahabad, Haridwar, Ujjain and Nasik, which thus became the sacred cities of the Kumbh Mela. 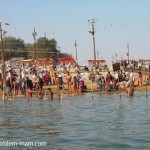 The most important moment of the Kumbha Mela is immersion in the river when the water is said to become amrita. 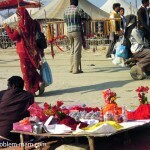 This happens on shahi snan days, which are decided by astrology. 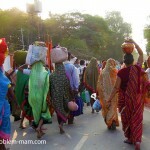 On those days, saddhus lead a royal procession (shahi) which culminates in immersion in the river (snan). 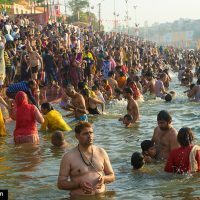 Hindus think that bathing in the river then will cleanse them and 88 generations of their ancestors of all their past negative actions (karma). 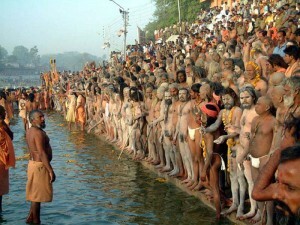 The naga babas are first to go into the water – naked, sometimes clad just in a garland of flowers. When they have finished their ablutions they smear their bodies with ash. 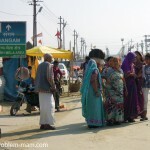 After all the saddhu sects have bathed, the ‘ordinary’ pilgrims can at last have their turn. 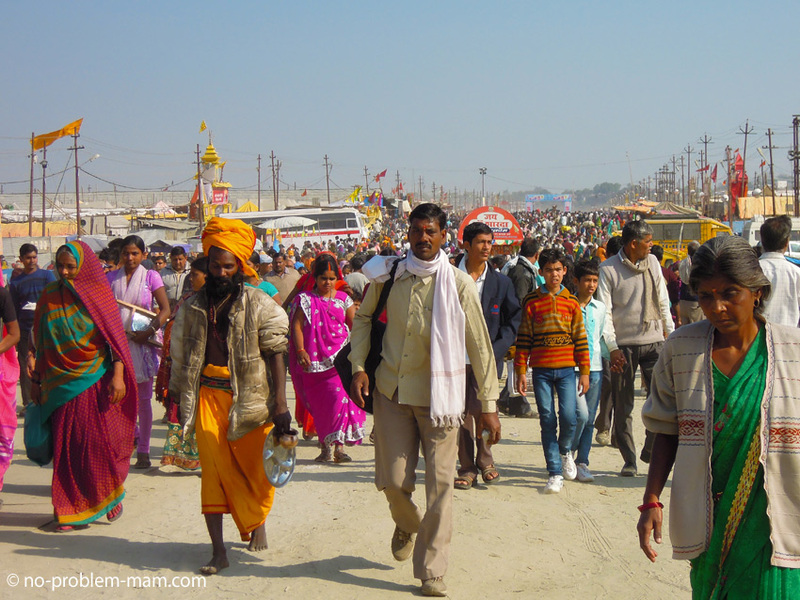 As well as the holy bath in the river, Kumbha Mela pilgrims can receive the blessings of saddhus, holy men and other yogis. 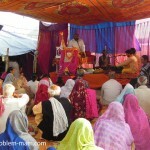 It is also a time when thousands of novice saddhus leave material concerns behind to start their lives as ascetics.